(left to right): 18 (.0475″) Dark Annealed on 2# spools; 16 (.0625″) Dark Annealed on 5# spools. We offer bright, dark, and galvanized wires in both soft or hard annealed. These wires are available in sizes ranging from .008″ through .375″, and can be put up on coils, spools, cotton covered, or straightened and cut. 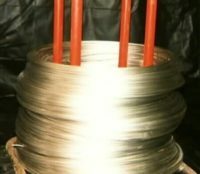 Paramount Wire’s galvanized annealed wire is high quality hot dipped* galvanized wire. It is smooth and shiny and we can coil it, straighten and cut it, spool, or cotton cover it for you. Paramount Wire’s dark annealed wire is consistently soft, relatively easy to bend yet strong, and dark charcoal in color. 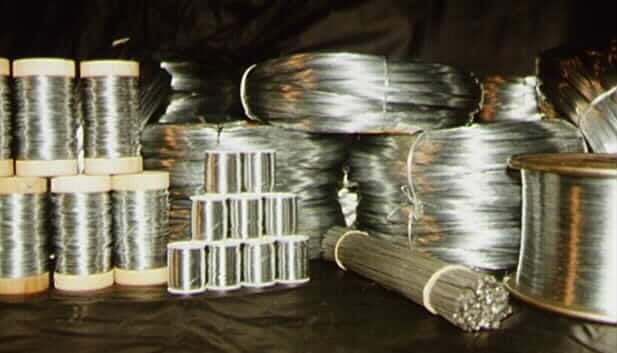 It is for this reason that for over a century auto repair shops, elevator repair shops, landscapers, hardware stores, wreath makers, builders etc., prefer Paramount Wire. 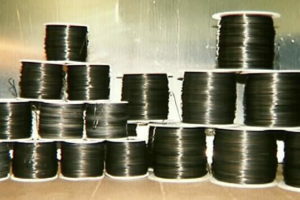 Our dark annealed wire is available on spools ranging from 10 yards to 500 lbs. 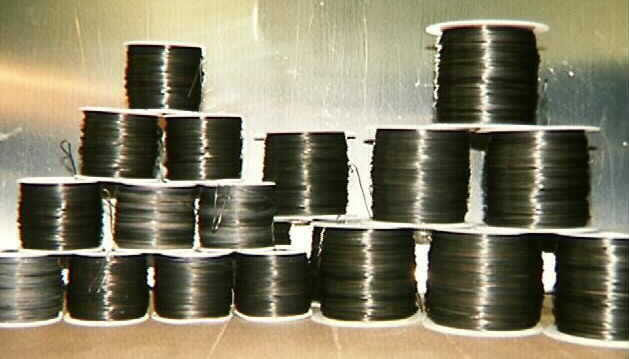 Our dark wire is also perfect tie wire, available in coils of any weight, or straightened and cut from 2″ to 240″.